Reeling from the success of his debut EP, Allow Me To Be Frank, young Nigerian rap artiste, Chidey releases this doper-than-thou rap song. 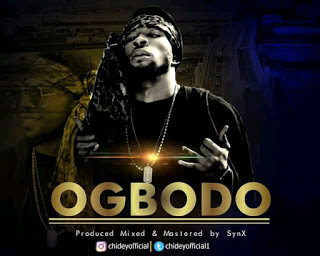 With a sprinkle of English, pidgin English and his native Igbo language, Chidey is the quintessential new school rapper in the Nigerian music scene. This exceptional track was produced, mixed and mastered by the creative brain behind hits like “Your Love” by Ycee, “Saro” and “Magun” by Niniola, “Radio” by Bella, “Suited remix” by South African songstress Shekhinah ft Mr Eazi, “Anya” by Yung L, “Mash It Up” by General Pype, etc. Scoop up this one immediately for the ultimate eargasm and thank us later. Don’t forget to share your thoughts on the comments section.